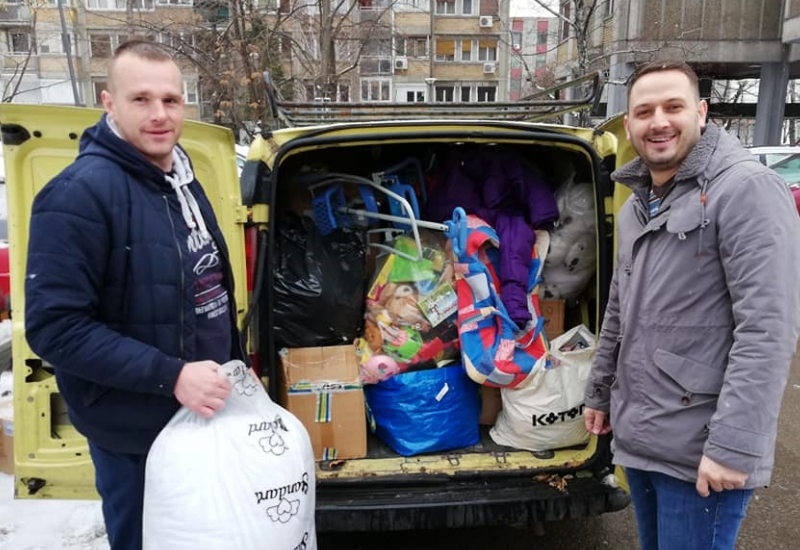 On Friday, 4th January, members of the Citizens’ Association Novi Sad (Udruženja građana Novi Sad) brought toys, school equipment and clothes for the Shelter for Children and Youth in this city. During the holidays, the people of Novi Sad also remembered those who were most vulnerable in their society, and decided to bring some holiday cheer to all children who visit the Shelter for Children. They arrived for a visit with two vans full of things the kids need, as well as little things all the kids would like. “Over the last 12 months people came by to our offices and brought things they wanted to donate, and this is our usual practice. At the end of the year we decide to whom we would donate the things we have collected and this year we decided for the recipient to be the Shelter. We are very glad to be here, even though it’s our first time. Sweets are the only thing that was purchased recently as they needed to be fresh. As we’re in winter now, and it’s cold with snow, we believe that the most important part of this donation are the winter clothes”, said Goran Crnojevic, one of the members of this association. The Shelter in Novi Sad was opened 8 years ago, and until now has provided various types of support for over 1,000 children whose families are forced to provide for their basic needs by working on the street. Just before the winter cold started, the Shelter also opened a call to citizens to donate their winter clothes. Apart from clothes, the children who visit the Shelter can also get hygiene products, participate in various educational and creative activities and get basic medical assistance and counseling.